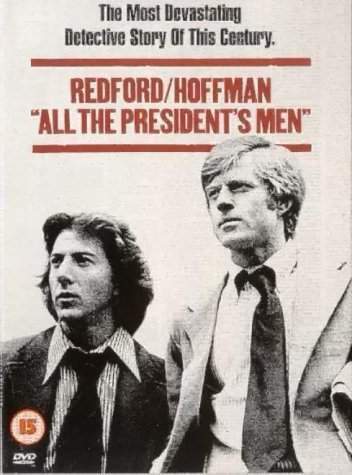 While we had the movie, "All The President's Men" in 1976 about the 1972 Watergate incident, we get a remake coming out in ... can't tell, won't do it, wouldn't be prudent. But Tales does have an exclusive on the title of the movie and all the actors in the movie. The movie will be ingeniously titled: "Watergate"
Donald Trump plays Richard Nixon. Donald Trump Jr., Rob Goldstone, Paul Manafort, Jared Kushner , and General Michael Flynn [aka G. Gordon Liddy], play "the plumbers". Robert Mueller plays special prosecutor Archibald Cox. Jeff Sessions plays Atty Gen Elliot Richardson. Rod Rosenstein plays Deputy Atty Gen William Ruckelshaus. Sean Hannity begged to play Solicitor General Robert Bork. Michael Cohen plays White House Counsel John Dean. Bob Corker plays Senator Sam Ervin. Jeff Flake plays Senator Howard Baker. Kellyanne Conway, if her whereabouts can be found, will play Rose Mary Woods. There is no Republican official known, as of today, who can play Barry Goldwater. Bob Woodward and Carl Bernstein will play Washington Post Reporters Bob Woodward and Carl Bernstein.